Departure from the airport to the hotel, accommodation in hotel 4* in the city center, free time, departure from the hotel to Zemun, small walk through historical part and optional dinner at restaurant (around 20:00h), overnight. Breakfast, at 10:00h city tour with licensed tourist guide, the very center of the city (Belgrade fortress, Kalemegdan, Turkish turbe, Mosque, Students square, Knez Mihailo street, Republic square, Konak kneginje Ljubice, patriarchy, Central church, St.Sava temple…), optional lunch at famous hunting restaurant in Vracar (14:00h) or free time, after lunch going to mountain Avala and visiting the city panorama from the highest point in Belgrade – Avala Tower, return to the hotel, free time, optional dinner at restaurant with live music (20:30h), overnight. Breakfast, 08:00h all day tour with licensed tourist guide (Subotica and Palic lake tour – main sights and time for coffee on beatiful lake shore, Novi Sad main sights, Petrovaradin fortress, optional lunch at carda (15:00h) or free time, Sremski Karlovci – 4 lions fountain, patriarchy, church school, wine testing), back to the hotel, free time, around 21:00h optional dinner at restaurant with live music (named as the best restaurant in Belgrade 2005th and in Serbia 2006th) in Skadarlia – the bohemian quart, overnight. Breakfast, at 08:00h departure from the hotel and tour to Smederevo fortress, visiting the fortress with a guide (1h duration). Next visit is Viminacium, Roman city with tombs and frescoes, tour with a guide (2h duration). 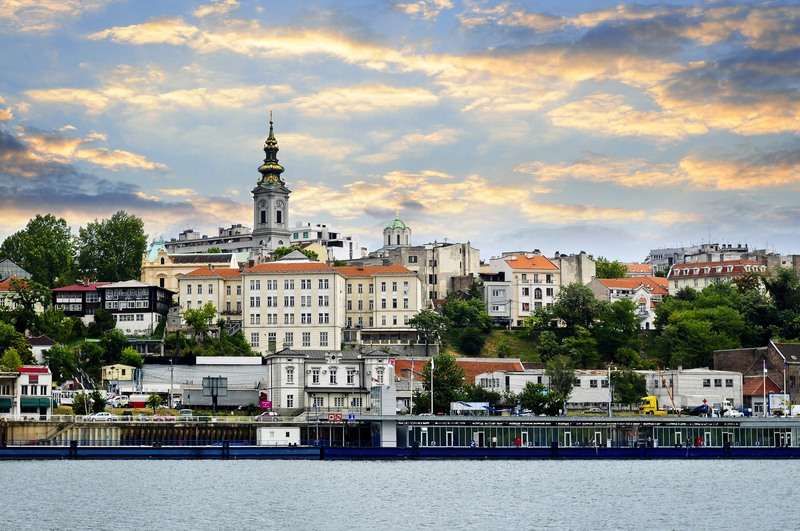 Heading to Silver lake, the most famous travel attraction on Danube river, small walking tour and optional lunch at the lake (15:00h) or free time, free time after lunch, an return to Belgrade. Optional dinner at the restaurant around 20:00h, overnight. Breakfast, at 08:00h heading to Oplenac, the place where royal Karadjordjevic dynasty begins, tour with a guide (church and the tombs, king’s cottage, Karadjordje’s church and the house, royal wine seller), continue to Orasac, where First Serbian battle begun in 1914. (Prvi srpski ustanak museum), optional lunch at the restaurant (around 14:00h) or free time, heading to Arandjelovac, small walking tour and visiting the Bukovicka spa, free time for enjoying the beautiful park with marble sculptures, return to Belgrade, optional diner at the restaurant (around 20:00h), clubbing at the famous night after dinner, overnight. Breakfast, around 11:00h transfer to the river, boat cruise in the Danube river 1,5h duration with guide, optional lunch at restaurant on the river or free time in the city-center for shopping and souvenirs or going to two biggest shopping malls (Usce shopping center and Delta City), return to the hotel, free time, optional dinner at exclusive restaurant with live music, transfer to the hotel, overnight. Breakfast, after the breakfast departure from the hotel to the airport. End of the arrangement.